Have you ever been to Indonesia? 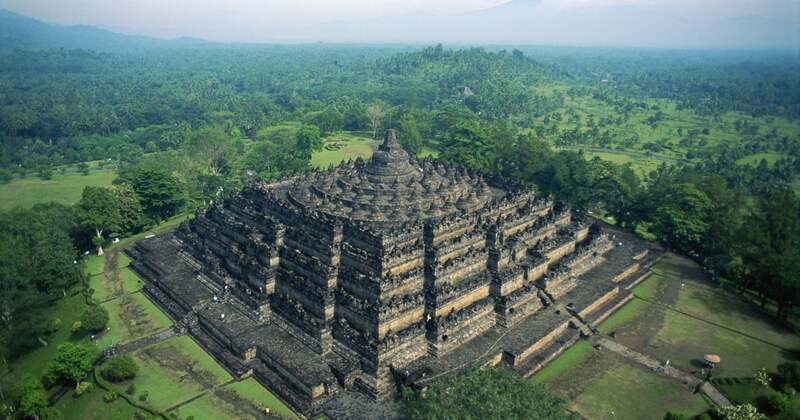 If you have, or you are planning to, you must know Borobudur Temple, or Candi Borobudur. One of the largest buddhist temples in the world, Candi Borobudur is one of the must-visit destinations of Indonesia. If you like visiting Borobudur and temples in general, these temples can also suit your fancy. I think it is wrong to put Candi Prambanan here, but if you haven’t been there, you should. 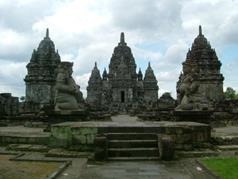 If Candi Borobudur is the most famous Buddhist Temple of Indonesia, Candi Prambanan is the most famous Hindus Temple. Located in the border of Yogyakarta Special Region and Central Java, it is a actually a complex of temples, with Vishnu, Brahma, and Siva temples in the middle. It also get affected with Merapi Volcano’s eruption, you can see one of the falling of stupa as some sort of reminder. 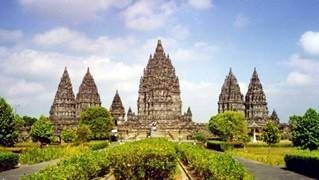 You can see the difference between Buddhist and Hindu temple architectures visiting both Borobudur and Prambanan Temple. 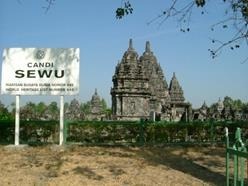 Candi Sewu, literally means thousand temples, is located around 800 metres from Candi Prambanan, and is actually inside the complex of Prambanan. It is the second biggest Buddhist temple in Central Java after Borobudur. The number of temples is not actually 1000, there are 249 temples in 185 x 165 complex. The name thousand comes from the popular legend Loro Jonggrang, a legend about Loro Jonggrang asking her suitor to build 1000 statues with her as the last statue. 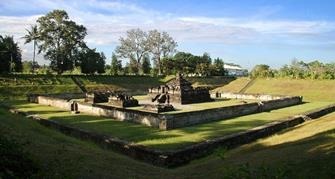 Usually, other temples are believed to be used in religious ritual, but Candi Ratu Baka is believed to be a complex of palace. Located … metres above the ground, you can see scenery around Yogyakarta decorated with Candi Prambanan from the top of the hill. The best time to go to the site is at sunset, when you can see the sun setting in the center of the gate. You can visit Ratu Baka separately, but if you want to visit Prambanan, you can buy one ticket for both and use the shuttle bus from and to Prambanan. 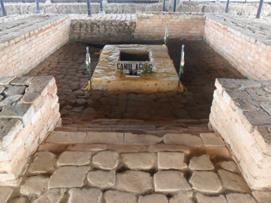 Back in the time, temples were built near the capital, so usually you can find temples near each other. Near the Candi Borobudur, there are a few temples such as Pawon (Buddhist), Mendut (Buddhist) that you can see on the way of going to Borobudut, Ngawen (Buddhist) with five aligned sanctuaries, one decorated with finely sculpted lions, and Banon (Hindu) which statue can be find in National Museum of Jakarta. Near Prambanan and Ratu Boko, there are a lot of temple as well, such as Sambisari (Hindu) underground proving Mount Merapi eruption, Kadisoka that’s recently found, Plaosan (Buddhist) with view of rice field, Sari (Buddhist) the Buddhist priests meditation’s sanctuary, Candi Ijo with one renovated temple of three-tiered temples and Kalasan (Buddhist) for commemoration of king’s marriage. 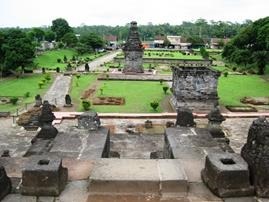 Also a complex of Hindu temples as identified by the existence of lingga and yoni, it is located in Karanganyar Regency of Central Java. It gives a feeling of simplicity and the stepped pyramidal shape and design is different with usual Hindu temples. It is famous because of its rather unusual shape and many lingga and yoni symbolizing sexuality. Near Candi Sukuh, you can also find Candi Cetho, 1470 m above sea level. Usually, when people say ‘visiting Indonesia’, they mean that they visit Bali or Java. 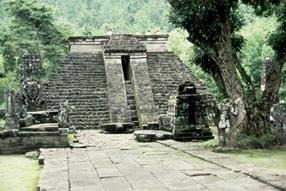 If you have the opportunity to go to Sumatra, other big island in Indonesia, you can maybe visit this temple. 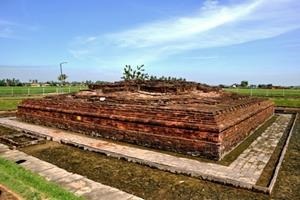 Candi Muara Takus is a Buddhist temple located in Kampar regency of Riau province. 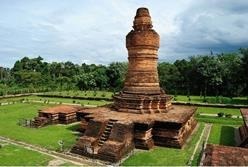 It is built in the time of Sriwijaya Kingdom of … century. It is believed that the temple is built from batu pasir, batu sungai, dan batu bata, that being passed people to people from penggalian to the location of the temple. 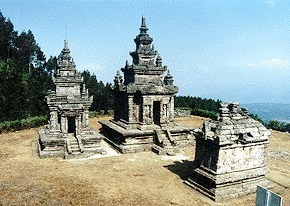 Candi Gedong Songo is located in Ambarawa Regency near the Dieng Plateau and having panoramas of three volcanoes nearby. Its location telling us that in Hinduism, location of temples is as important as the temple itself, because of the beautiful view. There are five temples in the complex. 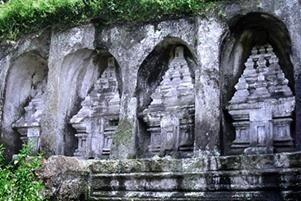 It is similar with Dieng Temples near Wonosobo, a compound of eight small Hindu temples surrounded by beautiful views as well. That’s a list of a few temples in Indonesia worth visit to. 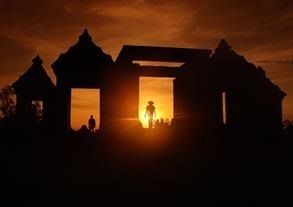 There are actually still many temples in many region of Indonesia such as Jago and Penataran in East Java, Cangkuang and Batujaya in West Java, Gunungkawi in Bali, Agung and Laras in Kalimantan, but I can only mention a few. Next May, there is a Vesak ceremonial in Borobudur Temple, if you want to put it in your calendar. It will be nice to visit Borobudur and Indonesia in that time. Don’t forget to check out other temples listed here while you have time in Indonesia. Posted on April 25, 2014, in Culturing and tagged aseankorea, borobudur, culture, indonesia, prambanan, temple. Bookmark the permalink. Leave a comment.